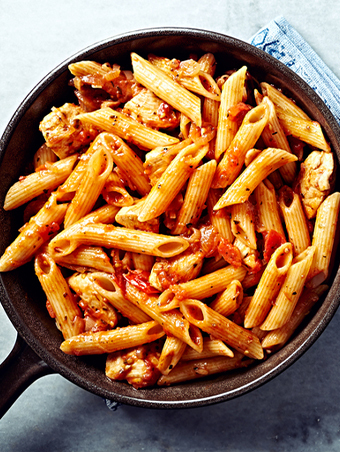 As an Italian family-owned company, semolina and durum pasta flours have been part of our history—and our meals—since Italgrani’s founding. We take pride in our company’s Italian heritage, and that pride comes through in the quality of our ingredients, the care we take to always provide outstanding customer service, and our investment in our capacity and capabilities to better serve our customers’ growing businesses. With our origins in Italy, and with our own grain elevators and state-of-the-art mill right here in the U.S., we combine our family-grown roots with our experienced management team, grain sourcing from across North America, and milling expertise to deliver dependable service and high-quality semolina and durum flour products to pasta makers throughout North America. Most recently, we’ve added a second milling unit to our St. Louis milling complex, which has increased our milling capacity by 40%, and we have invested in additional packaging capabilities to meet the growing needs of our customers. With each expansion of our mill, we’ve refitted it with the latest technology to increase efficiency and add capability. Applying our expertise from origination to blending and milling, we offer a wide range of granulations, packaging formats, and custom blends, supported by our vertically integrated supply chain. 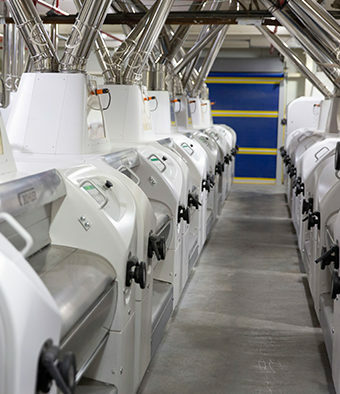 With the recent addition of a new milling unit, our daily capacity now exceeds 28,000 cwt of semolina or flour, or 1,800 metric tons of daily durum wheat grind. Our St. Louis, Missouri, mill is the largest semolina and durum flour mill in North America. Our first milling unit was constructed 1987. Since that time, it has been upgraded and expanded, with investments in both adding physical capacity and refitting the mill with the latest technology. 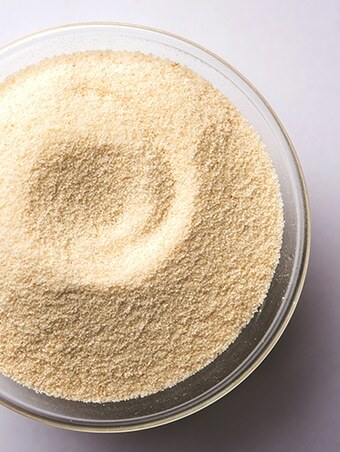 New granulation capabilities include extra fancy patent (EFP) flour with a range of packaging options, from 50lb bags to totes and bulk, and transportation options including truckloads, boxcars, railcar, and intermodal transportation. At Italgrani USA, we make our semolina and durum products to meet your needs. Customizing to meet your granulation, gluten strength, moisture, and enrichment requirements, we make semolina and durum flours to your specifications for consistent product quality and sensory experience in pasta, bakery, snack, and cereal applications. So, whether your formulation calls for semolina, patent, or extra fancy patent, organic or conventional, we make and package the ingredient to best suit your operation and product. While our mill primarily produces semolina and durum flours for pasta makers, we also mill durum into flour for baked goods, cereals, and snacks. We also produce bulk and pelletized midds for animal feed. Specializing in product customization, we can tailor granulation, gluten strength, and more to meet the requirements of your application.